We utilize our own fleet of trucks for deliveries close to our location. There is a fee for delivery. Contact us for costs and read below. This fee is based on where you live. We have an enclosed and large Delivery Vehicle for Southern California. 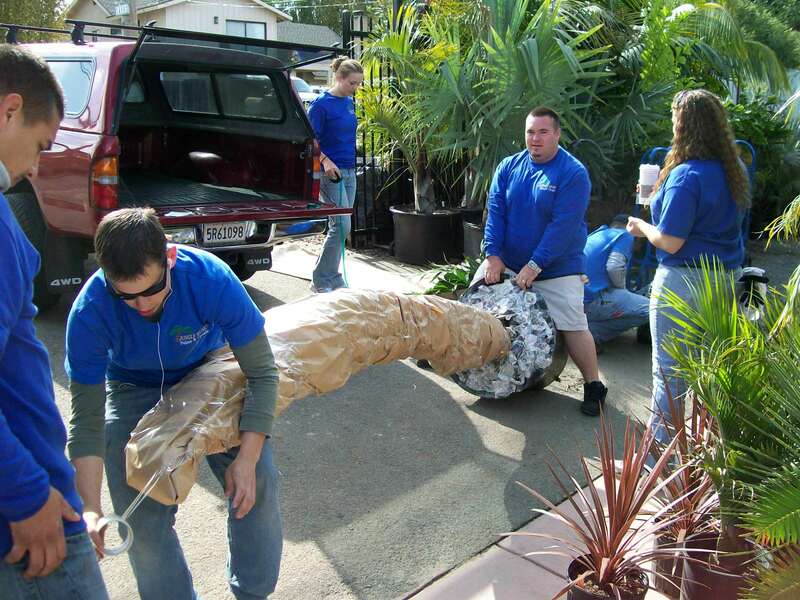 On it we can transport over a hundred fifteen gallon plants. Or, boxed size material can be delivered as well. 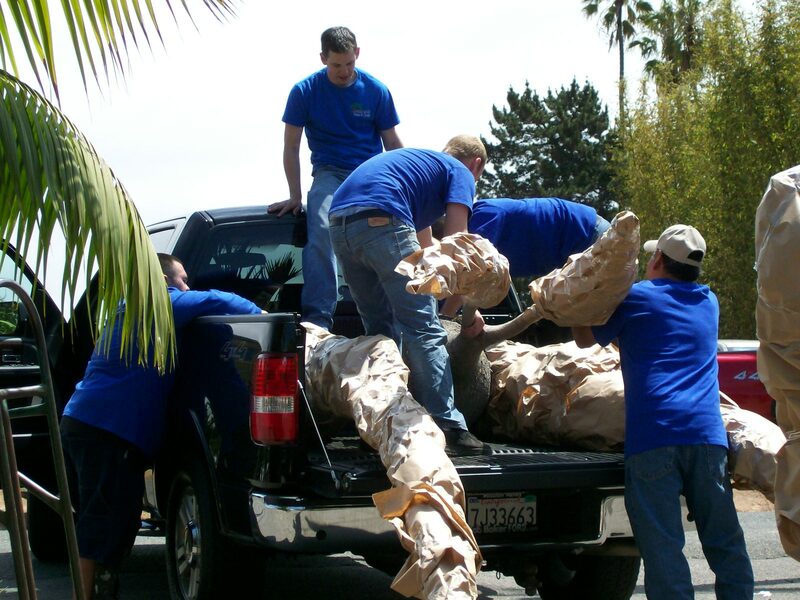 This is how we do most deliveries to San Diego, Orange and Los Angeles counties. For only a few plants, it's usually not cost effective for us to deliver. In such cases we utilize common carriers. Costs depend on where you live, not on how much you purchase. It's a flat fee for your area. The further away you are, the more it costs. These charges range for $125 to $450 to most areas for up to a truckload of plants. To areas like the Coast Central CA area, Central Valley, the Bay Area or Northern California, we utilize an independent trucking service. Pallets are not required for these deliveries. This is perfect if you need ten to fifteen plants. There is a flat fee for delivery of up to about twenty plants - providing they are not too large nor too tall. Contact us for quotes to your area. Costs for delivery between our nursery and San Francisco is usually $500 or a bit less - Remember, this is for up to 20 plants. ANYWHERE THROUGHOUT THE CONTINENTAL U.S.
We have an independent trucking service broker who finds us the best option for deliveries anywhere within the U.S. These orders often require that we put plants into pallets for safe shipping - There may be truck changes en route. See photos this page. There is a charge for palletizing plants, but this method works out to be much cheaper for the customer than shipping via the usual carriers like UPS or Federal Express. The further you are from our nursery and the heavier the load, the more it costs. We utilize pallets up to seven feet long. This is how we ship smaller plants, smaller orders or a combination of sizes that carriers like Federal Express (our usual carrier) will take. But, there's a limit to the size these carriers can handle. We can ship 15g but not plants that are over about five to six feet tall. We often combine smaller plants with large ones to minimize the cost/plant mail order costs. We have a nominal "boxing fee" on such orders but it's very reliable. 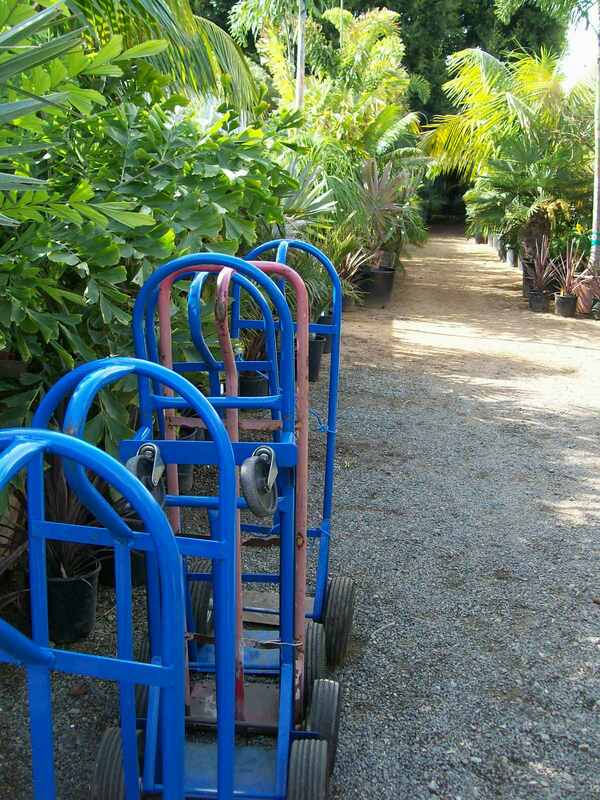 Plants typically arrive in the same condition as when they were at our nursery. I can give mail order shipping costs to your zip code on request. See link below for more information on mail ordering. We are a California Certified Nursery and all orders are accompanied by all needed Agriculture Permits and Phyto-sanitary Certificates as needed. You should always demand this. Most nurseries do not comply with this requirement, especially on mail orders. There is not charge for these permits and documentation. We typically ship plants in their containers with soil unless otherwise requested. Shipments to HI always must be bare root. 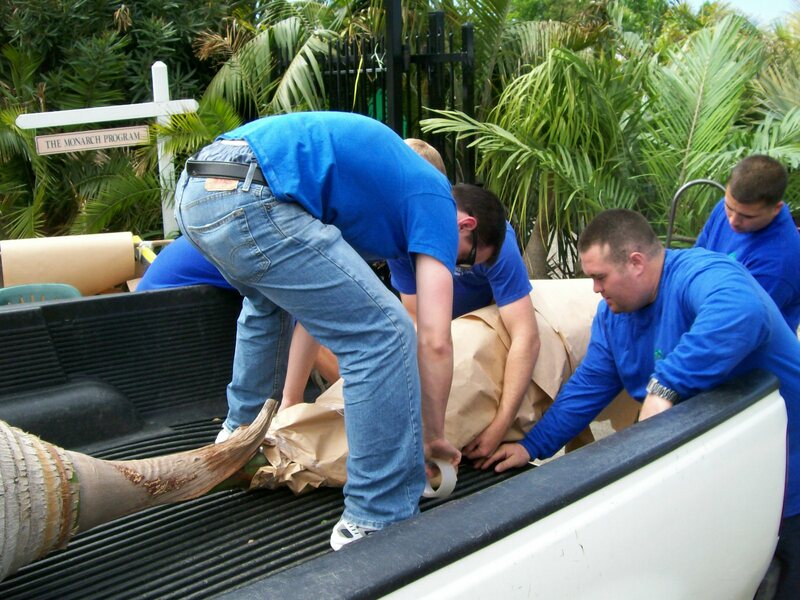 We are always willing and will happily help you load plants into your vehicle. We bag and "snowball" the plants if needed so dirt doesn't spill into your car. We can also wrap foliage with paper for pickup loads. 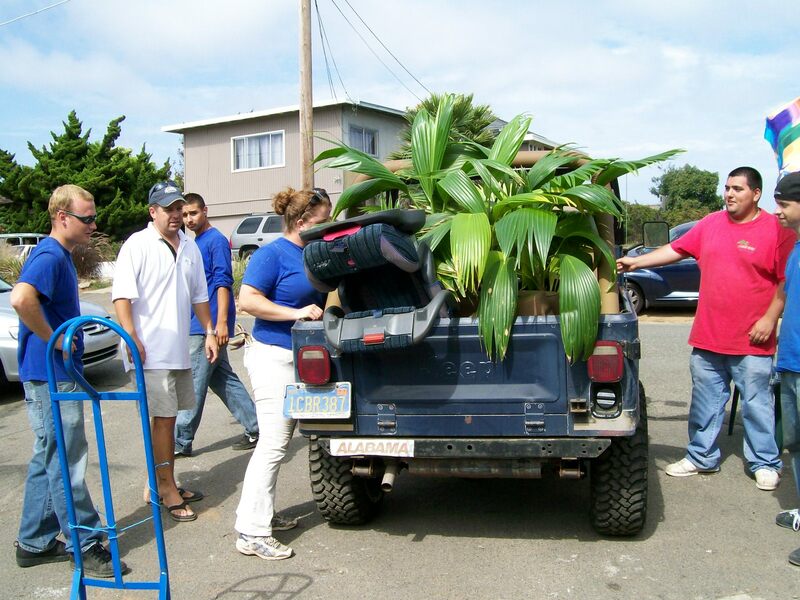 And, you'd be surprised how many plants we can get into a good sized car, SUV or pickup. Obviously, this is the most affordable means of your getting plants home. This service is free to you. By "crane sized" I am talking typically about a plant in a 36 inch or larger box. We do offer such plants through associates. This would include palms like an overhead Kentia Palm, Canary or Date Palm with ten to fifteen feet of trunk. Such plants often weight a ton or more and cannot be moved by people. They require cranes for lifting and a flatbed truck for transport. 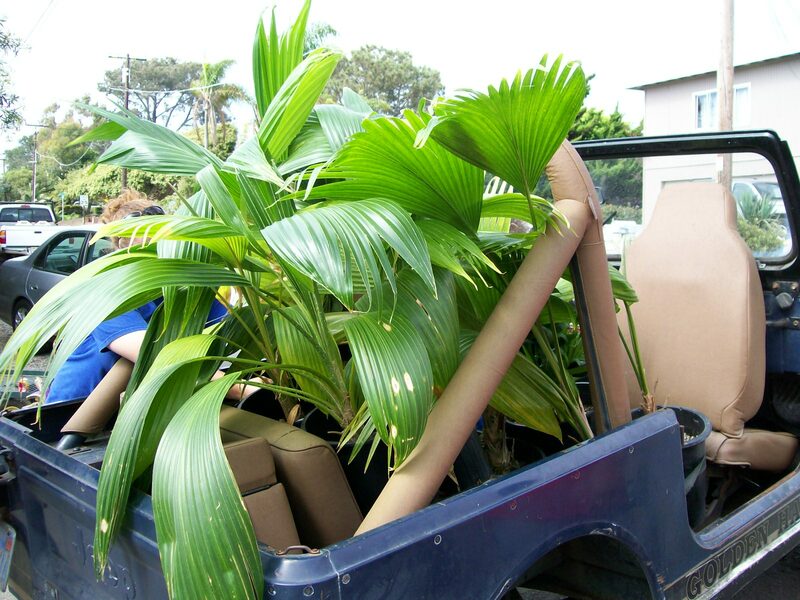 Our associates can arrange delivery of these palms. See link below. NOTE: We do not ship internationally!